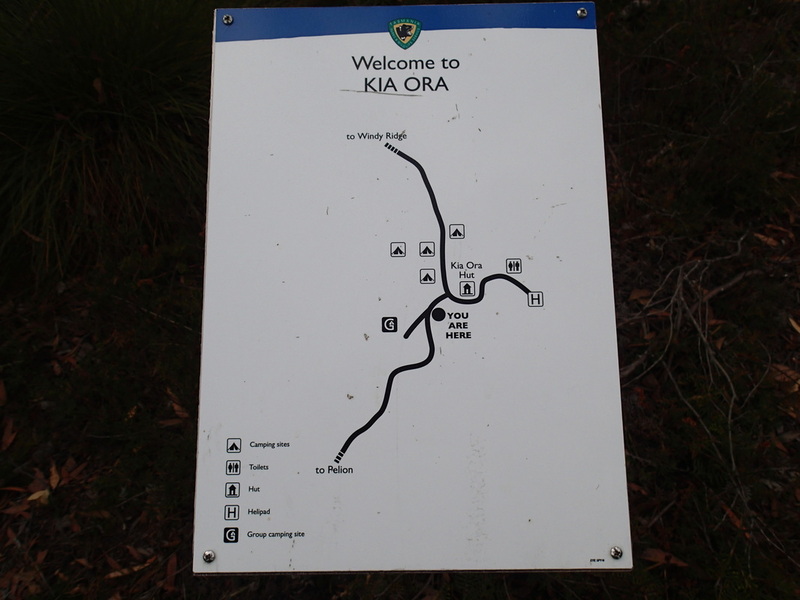 This is a short walk from Pelion Hut to Kia Ora - 8.2km. 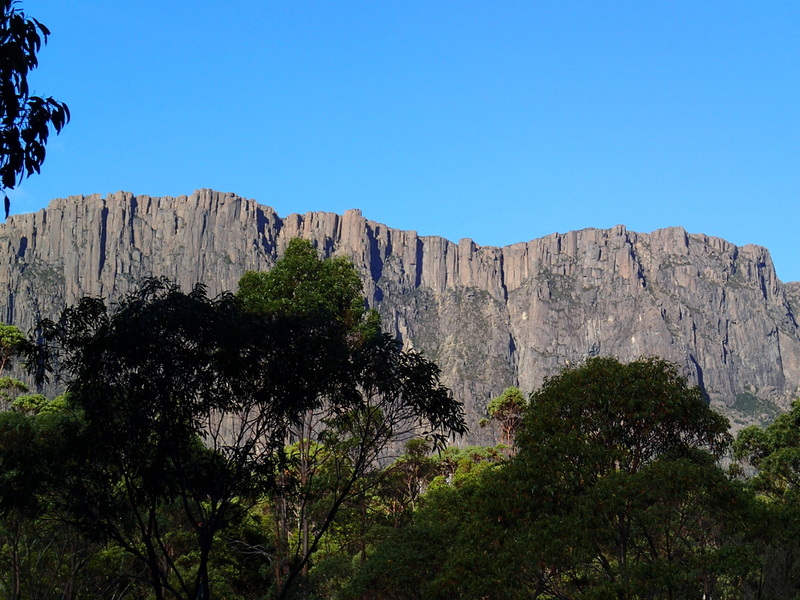 But many walkers include the trip to Mt Ossa on this walk, which adds considerably to the length of your day and walk. Once more, you are covering landscapes that include waterfalls, creek crossings and dense myrtle and eucalypt forests leading to Pelion Gap. 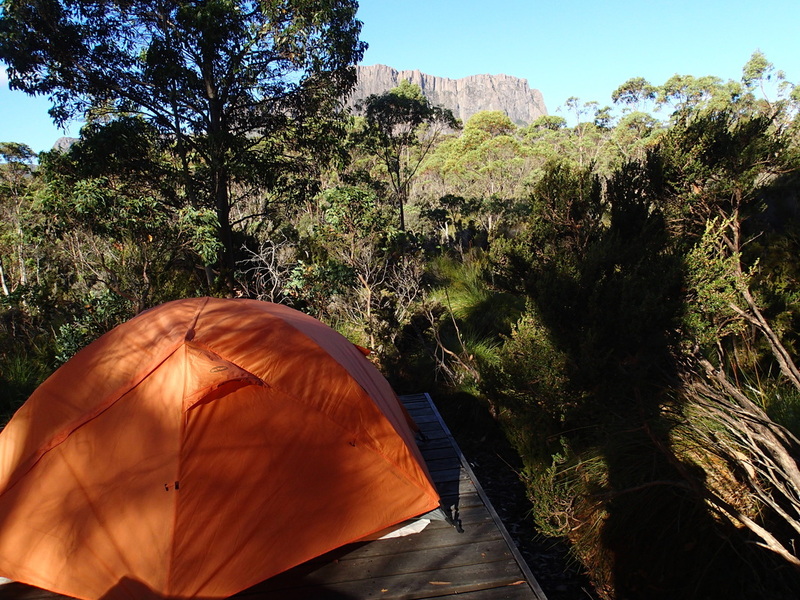 Amazing views take in Cathedral Mountain and the Du Cane Range, and views of Mt Oakleigh/Barn Bluff and Cradle Mountain in the far off distance. 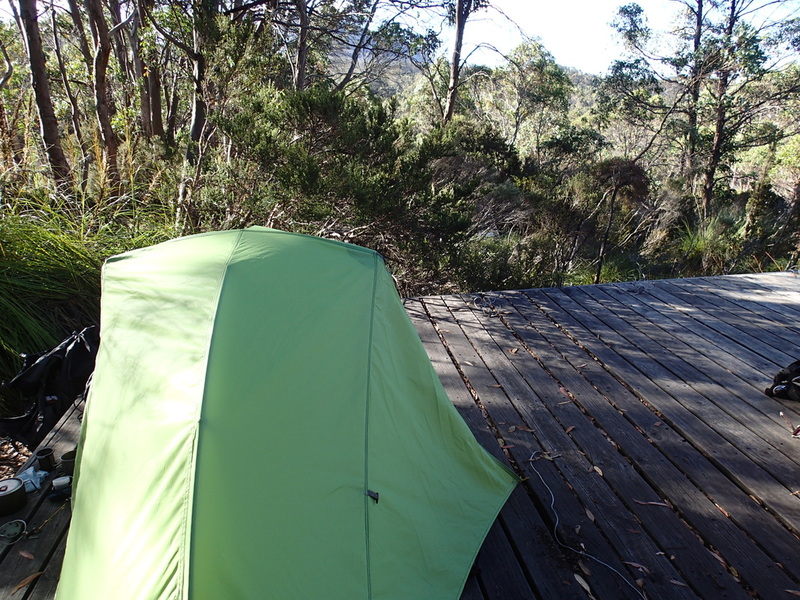 Kia Ora Hut sleeps up to 24 people and was built in 1990. 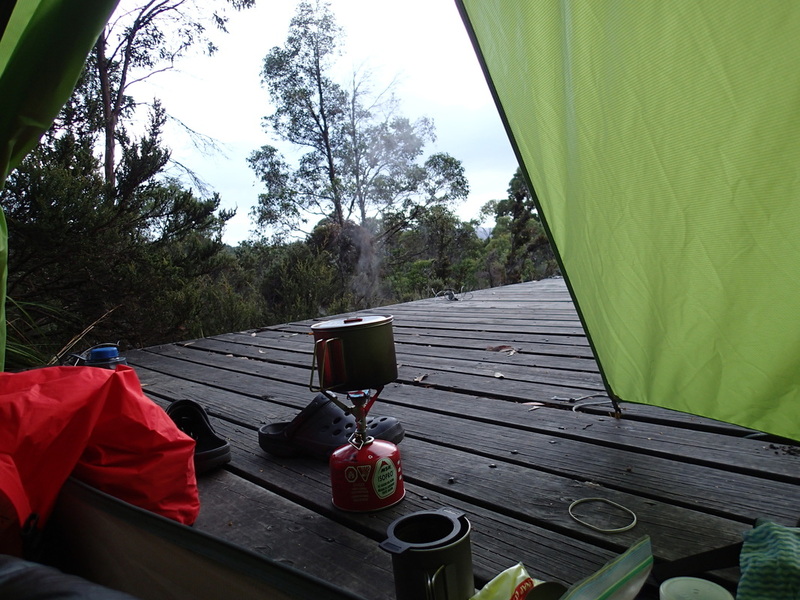 Additionally there are a number of tent platforms all scattered around the area, and whilst most people chose the huts (again), I slept on a platform. 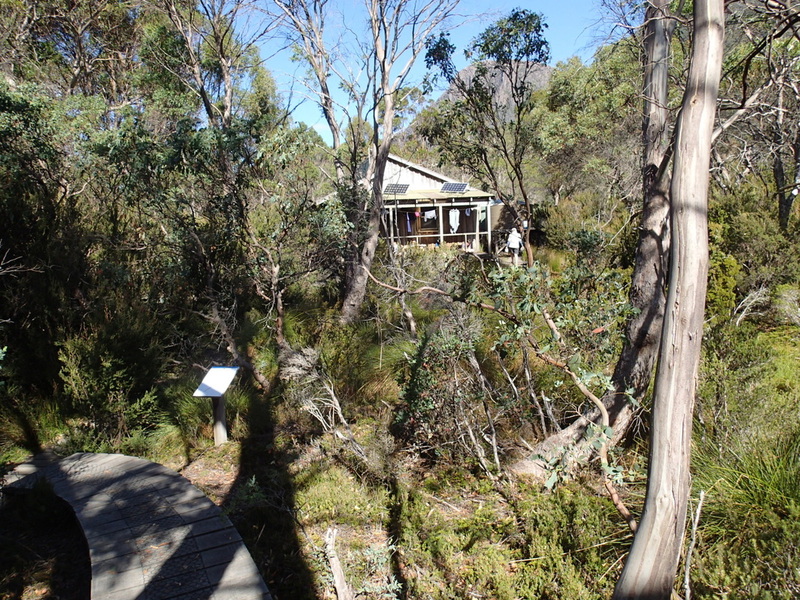 The platforms are well spread out and nestled in light forest. 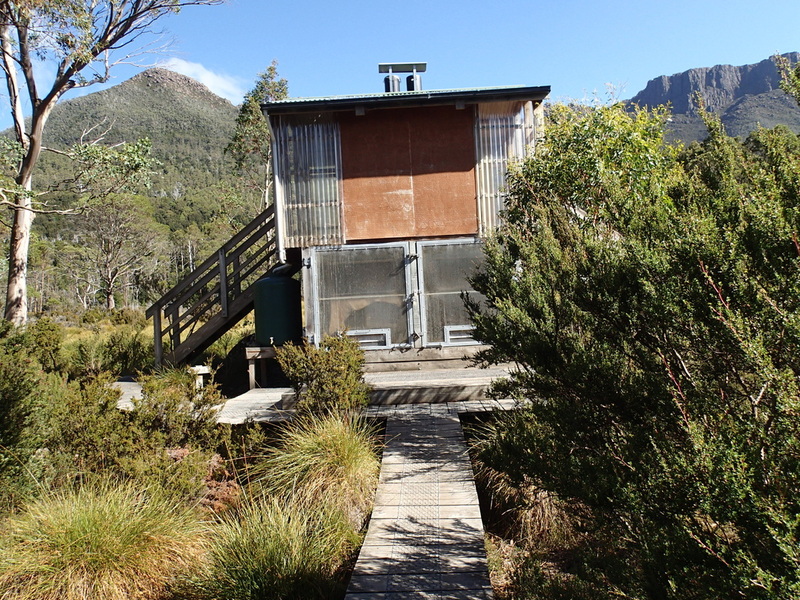 Composting toilets are at end of boardwalk west of the hut. 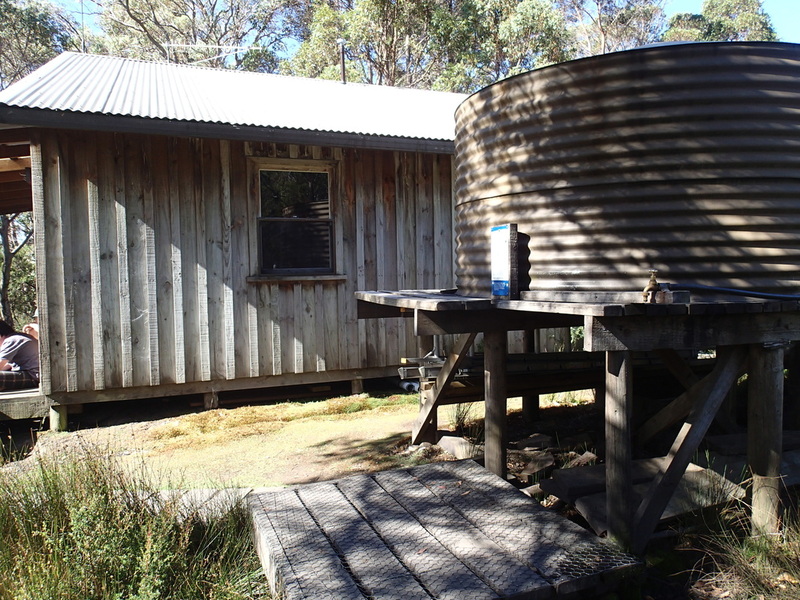 Water is available from either a tank or Kia Ora Creek, 50m away from the hut.